Celebrating the life of Henry Howard Hegel, Jr.
Obituary for Henry Howard Hegel, Jr.
Loving husband and father of two, Henry Howard “Skip” Hegel, Jr., passed away Wednesday, April 3, 2019 of ALS at his home in Pinehurst, North Carolina surrounded by his loving family. Born April 30, 1943 to Henry Howard Hegel, Sr. and Florence O’Donoghue Hegel of Maplewood, New Jersey. Skip attended Columbia Senior High School and New York’s Peekskill Military Academy. In 1960 Skip joined his beloved United States Marine Corps and qualified for the elite Second Force Reconnaissance Company serving in SE Asia and South America. Continuing the musical legacy of his father, Skip was a drummer for more than ten years in the Charleston, South Carolina band The Naturals. 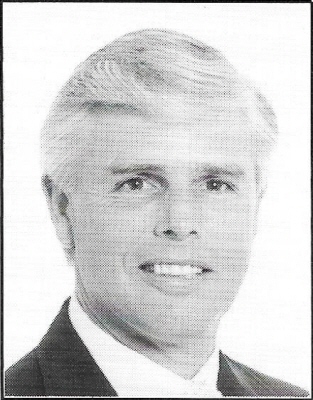 In 1977, he joined the Outboard Marine Corporation (OMC) as a Technical Service Representative for Johnson Outboards and remained for more than 20 years at OMC in roles including Regional Sales Manager - Johnson Outboards, Vice President of Hydra-Sports, Chris-Craft, Topaz and Donzi Boats and Director of Service & Sales - OMC. Skip joined Brunswick Corporation’s Mercury Marine Division in 1998 as Director of Service and remained at Mercury Marine until he retired in 2009. Those who will cherish memories of Skip are his wife of 54 years Mary, daughter Kimberly of Denver NC; son David and his children Chloe, Camryn and Tyler Hegel, daughter-in-law Carol Whittemore Hegel and her children Victoria and Gabriella Spangler of Raleigh; sisters Cornelia Hegel Stuart of Akron, OH and Marilyn Hegel Doehler of Brookeville, MD and many nieces and nephews. Services will be held on April 27, 2019 beginning at 1:30 p.m. at the Sacred Heart Catholic Church located at 300 Dundee Road in Pinehurst. A Celebration of Life event will begin at 5:30 p.m. at Pinewild Country Club located at 4 Glasgow Drive in Pinehurst where friends and family are invited to celebrate the life and birthday of Henry “Skip” Hegel. Special thank you to the First Health Hospice team especially his nurse Patti who cared for him with kindness and compassion throughout his illness and the Duke ALS Clinic team Dr. Richard Bedlack and Dr. Ashley Whyte-Rayson. In lieu of flowers, please support any or all of these organizations whose good work and legacy made an impact on the life of Henry “Skip” Hegel: the Marine Corps Heritage Foundation, First Health Hospice of Pinehurst and Duke ALS Clinic. Arrangements by Boles Funeral Home, 35 Parker Lane, Pinehurst. To send flowers or a remembrance gift to the family of Henry Howard Hegel, Jr., please visit our Tribute Store. Guaranteed delivery before Henry's celebration of life service begins. "Email Address" would like to share the life celebration of Henry Howard Hegel, Jr.. Click on the "link" to go to share a favorite memory or leave a condolence message for the family.